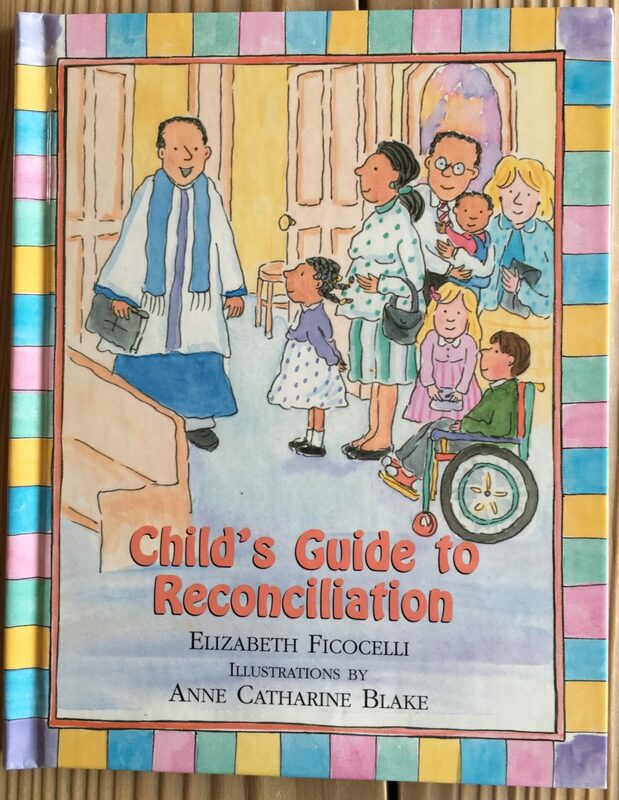 With the start of the new year, we return to our CCD class and begin to prepare for the first “Reconciliation.” I am using various resources in addition to our text to enrich the student’s learning experience. 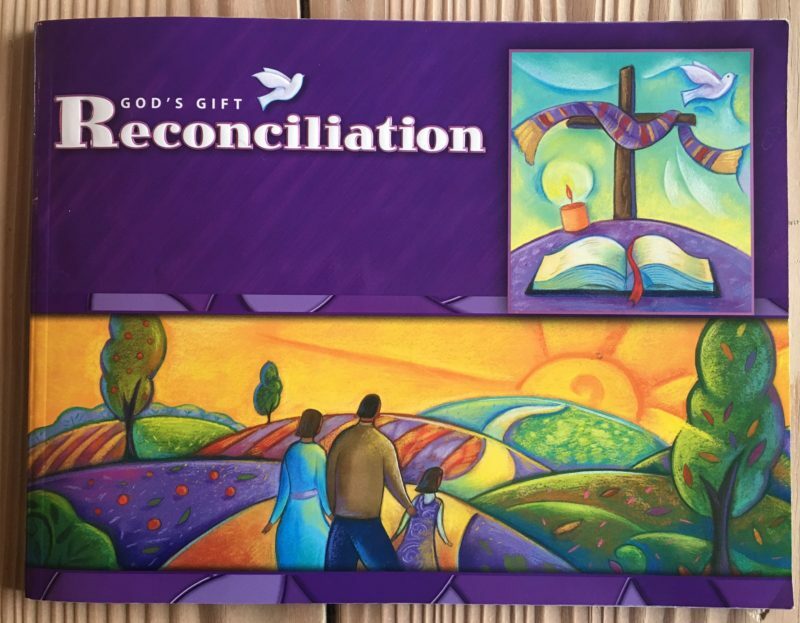 The original artwork– which I copied for the painting below– is from the cover of God’s Gift Reconciliation. 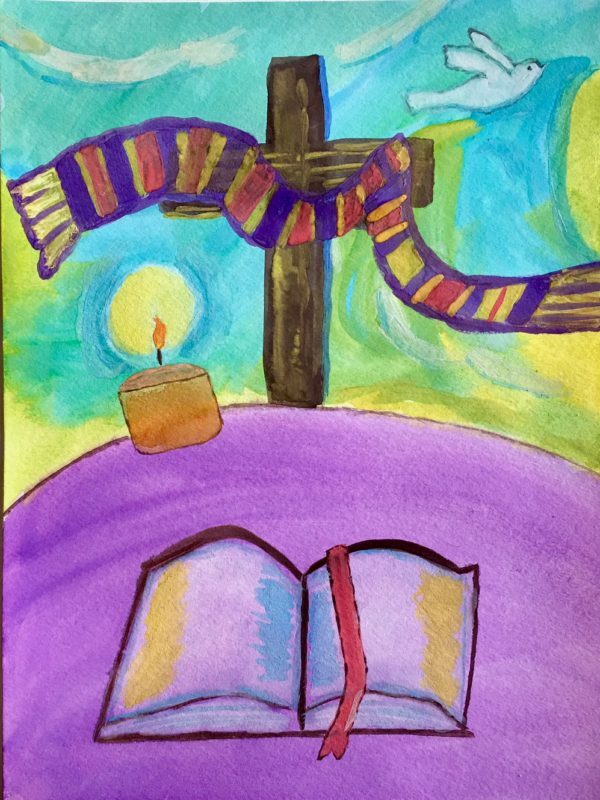 My watercolor will be used to talk with the students about the symbols of Reconciliation as we begin our first discussion. I will invite the students to do a “symbols” art project using pastels on purple construction paper. Please check back, as our journey together is documented here. 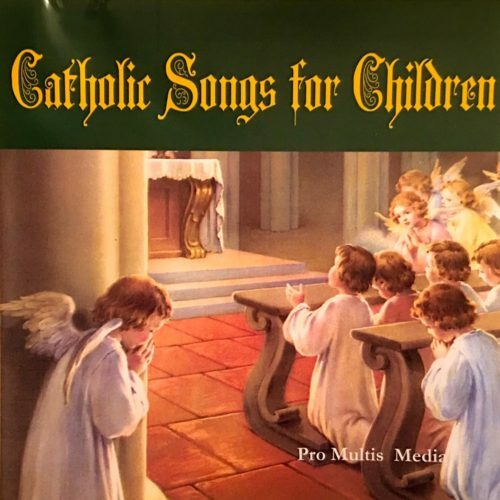 Catholic Songs for Children teaches the foundation of Catholicism through music. The first time I listened to it, I wondered if today’s children could hear the story through the dated music. After my second and third time listening to it in the car, I was singing away. 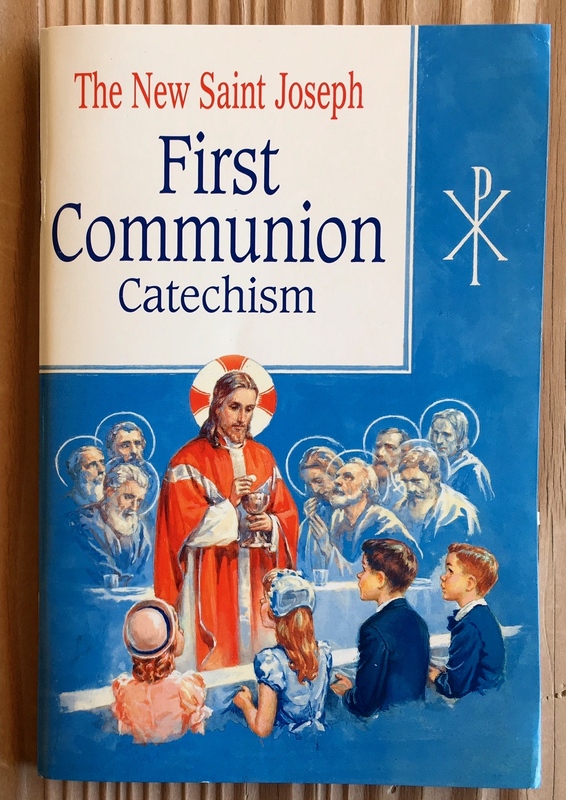 It is very helpful for teaching the catechism of the faith. The children’s version of The Ten Commandments in this book is the best I have read. It is relevant to children and addresses the issues they confront on a daily basis. Our class is passing this book among the families to read to their children at home. It is an excellent preparation for first Reconciliation. 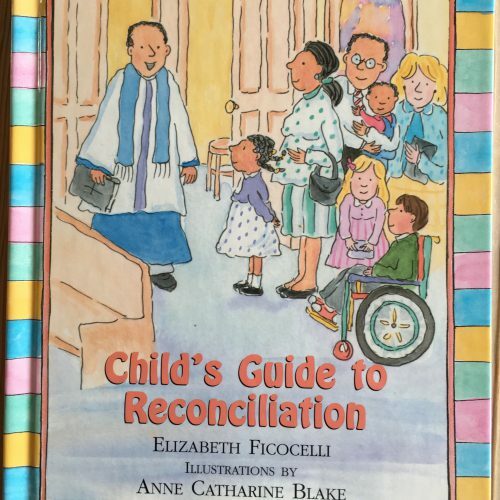 CatholicIcing.Com has wonderful material for First Reconciliation. We will be using “Five Steps to a Good Confession” by Lacy of Catholic Icing and her practice cards for First Confession. Both can be purchased as downloads for $1 each on her website. 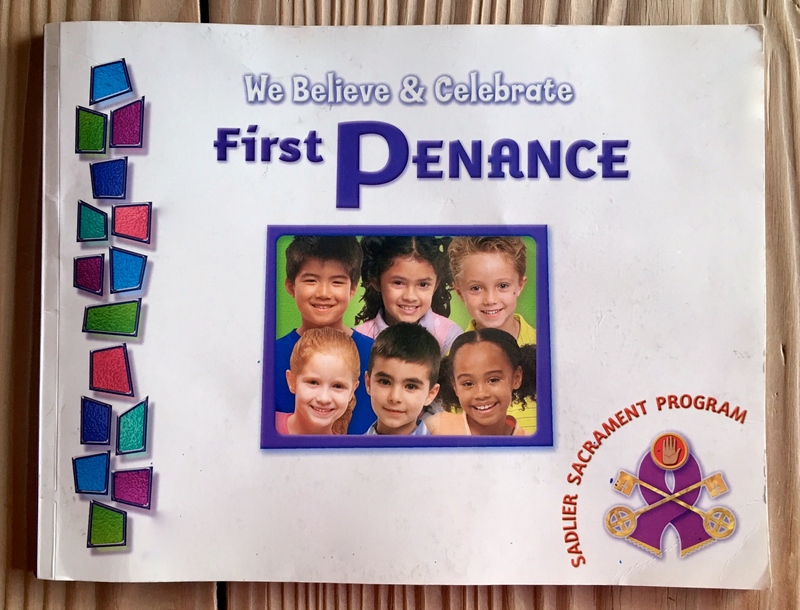 Raising (and Teaching) Little Saints has free downloads of “An Act of Contrition and “An Examination of Conscience.” We are using both in our classroom to get the children prepared for First Reconciliation. They are both child-friendly and helpful. 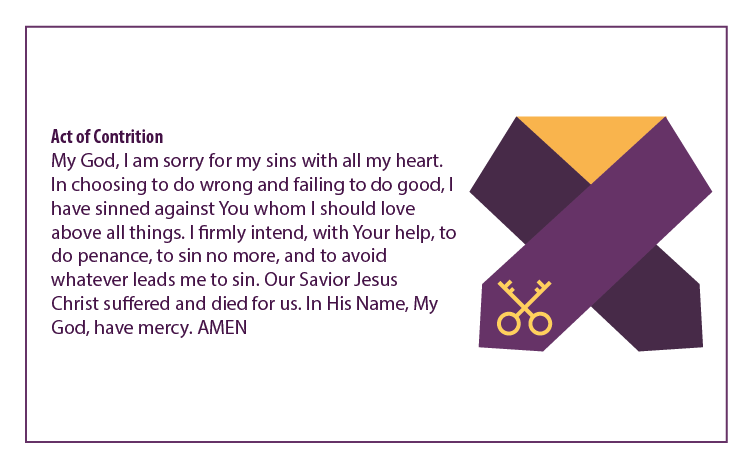 The Reconciliation cards and “Steps for Good Confession” graphic were designed by Kim N. Buckley.